Note that I’ve named both parameters with a desired name. 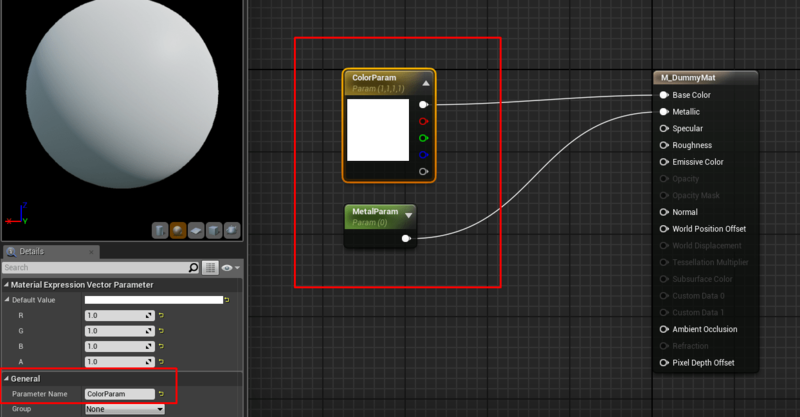 In order to name a parameter, click on it and then modify the Parameter Name value. When you’re done with that, place some actors on your level and play the game. 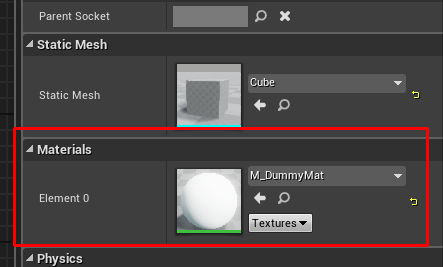 Is there a way to determine what material parameters are on an already instanced material? Thanks for your tutorials! Hmm… Don’t see my other comment, might be moderated? One more question… Along the same lines of my previous question… See how you’ve hard-coded the parameter above, is there a way for C++ to determine what available parameters are available on a specific material? (similar to my previous question, but more specific). Thanks again. I assume, (I’ve never used it before) that you are able to get the available parameters by using GetStaticParameterValues or GetNativePropertyValues function (both are located in the UMaterialInstanceDynamic class) depending on your needs.